Want to be notified of new releases in collabnix/dockerlabs? Are you new to Docker? Looking out for building Your Career in DevOps & Containers Technology? Welcome ! You are at the right place. 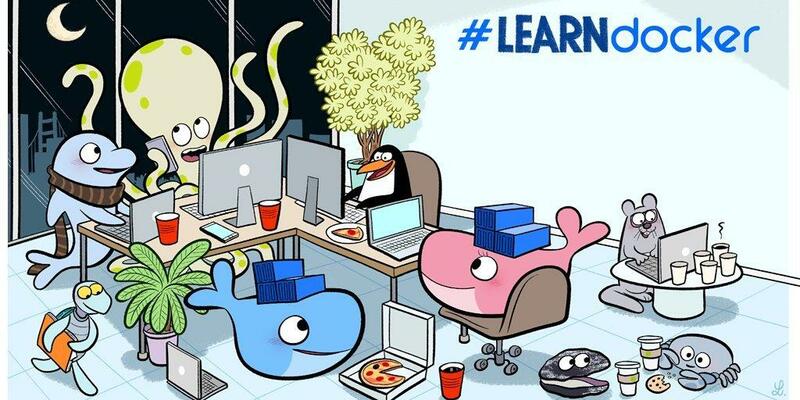 DockerLabs brings you tutorials that help you get hands-on experience using Docker & Kubernetes. Here you will find complete documentation of labs and tutorials that will help you, no matter if you are a beginner, SysAdmin, IT Pro or Developer. Yes, you read it right ! Its $0 learning platform. You don't need any infrastructure. Most of the tutorials runs on Play with Docker Platform & Play with Kubernetes Platform. This is a free browser based learning platform for you. Docker tools like Docker Engine, Docker Compose & Docker Machine are already installed. Hence, we have everything ready for you to get started with. In case you're looking out to conduct workshop or demo, you can refer these below links to bring up Application Stack in no time. What are Containers? What are they used for? How is Container different from Virtual Machine? How to open Docker Daemon to External world? Docker Daemon runs as root. How can Docker be secure? Difference between Docker Image Vs Docker Container? Reducing the size of your Dockerfile image. How is ENTRYPOINT instruction under Dockerfile different from RUN instruction? How Docker Swarm Mode works? What is difference between Docker Swarm(Classic Swarm) Vs Swarm Mode Vs Swarmkit? A First Look at Docker Application Packages - "docker-app"
what is Docker privilege Mode? Docker daemon requires root privileges. Is it still secure? What are Kernel Security Features? What is Docker Content Trust? How to enable Docker Content Trust? How to manage keys for content trust? How to implement automation with content trust? Implementing delegations for content trust? What is Docker Enterprise and why do we need it? What are components of Docker Enterprise? What Kubernetes Features are included under Docker Enterprise 2.1? What security features are in-built into Docker Enterprise 2.1? What's New in Docker Enterprise 2.0? How to Install Docker Enterprise 2.0 on RHEL? How to Install Docker Enterprise 2.0 on Ubuntu? How to Install Docker Enterprise 2.0 on CentOS? How to Install Docker Enterprise 2.0 on Windows? How to Upgrade from Docker CE to EE? What Kubernetes Features are included under Docker Enterprise 2.0? What security features are in-built into Docker Enterprise 2.0? How to Install helm under Docker Enterprise 2.0? How to Install OpenFaas under Docker Enterprise 2.0? How to Install Istio under Docker Enterprise 2.0? Thank you so much for showing your interest in contributing to Dockerlabs tutorials.